As you prepare for the American Thanksgiving holiday, you might enjoy watching a few Thanksgiving movies. Once I excluded animated movies, I found that there were very few family friendly Thanksgiving movies so make sure you consider the rating of each of these films before you share them with your children. My list includes movies like An Old-Fashioned Thanksgiving, which actually may be suitable for your family but which is not rated. 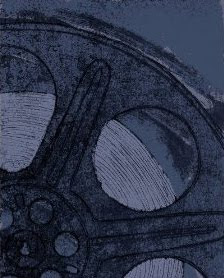 It includes films like Pieces of April which manages to be a moving movie despite its tough exterior and What's Cooking another look at the American family, thorns and all. 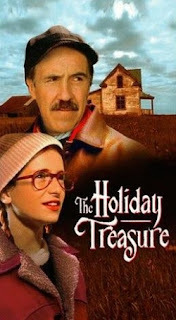 It goes on to include Hannah and Her Sisters, Home For The Holidays and the rare films The Holiday Treasure and Plymouth Adventure, both of which are only available on VHS videotape. If you are looking for a Thanksgiving movie to watch this holiday season, any of these would be a good choice. To read a better description of each of them and to find more food movie recommendations, be sure to visit my full Thanksgiving movie list by clicking right here. Looking For A Thanksgiving Movie To Watch This Holiday Season? Click here to buy your copy of the rare movie The Holiday Treasure. A couple of these movies have me very curious, especially Pieces of April and What's Cooking, which sounds like good choices for me to try this Thanksgiving. Thanks for the information and the suggestions!